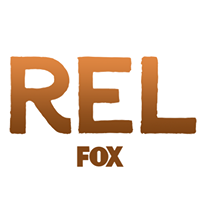 The September 9 premiere of FOX’s new comedy "REL" posted a 2.0/8 Live+3 Day rating, launching as the week’s #1 scripted series and the night’s #1-tie entertainment program. "REL" grew to 6.1 million viewers in 3-Day multi-platform, delivering the network’s most-watched and highest-rated comedy debut since “The Mick” on January 1, 2017. In addition, "REL" posted FOX’s strongest 3-Day Total Multi-Platform audience since the Season Four finale of "EMPIRE" in May. In addition, as part of its “Early RELease,” during which the series premiere episode was made available via on-demand and social media, "REL" delivered nearly 500,000 views on Twitter and YouTube. Inspired by the life of Lil Rel Howery (“Get Out,” “Insecure,” “The Carmichael Show”), "REL" is a multi-camera comedy starring Howery as a recently divorced husband and father who makes a fresh start on the West Side of Chicago, with the help of his best friend and unfiltered sounding board, BRITTANY (Jessica “Jess Hilarious” Moore, “Wild ’N Out”); his wayward younger brother, NAT (Jordan L. Jones, “NCIS: Los Angeles”); and his old-school DAD (Sinbad, “A Different World,” “Jingle All The Way”). "REL" will make its time period premiere on Sept. 30, at 9:30 PM ET/PT. "REL" is produced by 20th Century Fox Television. Jerrod Carmichael (“The Carmichael Show”), Mike Scully (“The Carmichael Show,” THE SIMPSONS), Howery, Josh Rabinowitz (“The Carmichael Show,” “Broad City”) and Kevin Barnett (“The Carmichael Show,” “Broad City”) are executive producers. Gerry Cohen (“The Carmichael Show,” “Married with Children”) directed the pilot.